We make our amazing dressing gowns in fleece with a great range of design additions. Our dressing gowns are made by us in the UK so you can be sure of getting fantastic quality that's made to last. 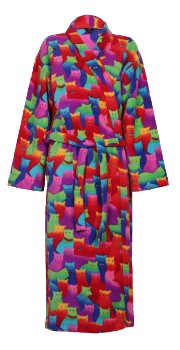 We've now got our fantastic new custom dressing gown designer on line give it a try. The custom dressing gown designer for adults and the custom dressing gown designer for children! Create your own fantastic fleece dressing gown with one of our great fabrics. Create your own fantastic fleece zip up dressing gown with one of our great fabrics. Create your own fantastic fleece custom dressing gown with our fantastic fabrics. Create your own fantastic tartan fleece dressing gown in our Royal Stewart Fabric. 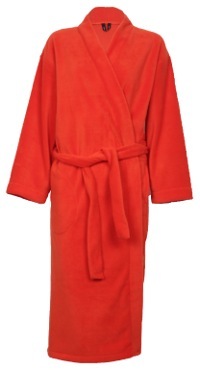 Create your own fantastic orange fleece dressing gown in our warm, soft fleece. Create your own fantastic camouflage fleece dressing gown in our camouflage Fabric. Create your own fantastic lipstick sheep fleece dressing gown in our lipstick sheep Fabric. 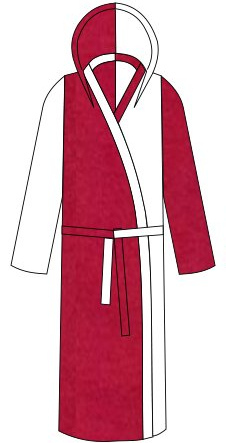 Create your own fantastic red fleece dressing gown in our red fabric. 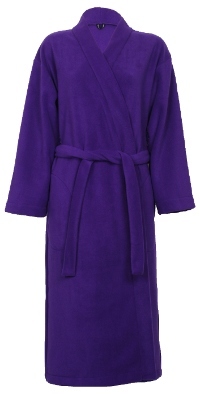 Create your own fantastic purple fleece dressing gown in our warm, soft fleece. Create your own fantastic cow fleece dressing gown in our warm, soft fleece. Customise with a hood and ears.